Award Year: 1993 This project examines major episodes of actual and attempted U.S. health care reforms, dating from the 1930s to the 1990s. It analyzes changes and continuities in institutional contexts, political alliances, and policy feedbacks, i.e., the effects of earlier policies on later policymaking. It provides an intellectual framework for considering change in institutional and political contexts, within which reforms are debated and (if enacted) implemented, and analyzes their effects on subsequent political dynamics and reform. The analysis deals with the past for its own sake as well as large-scale institutional and political processes. It critically examines the strategic choices, successes, and errors of reform-minded experts. It draws clear lessons for advocates of broadening social access and controlling health care costs to use in strategic political choices during the 1990s and early 2000s. Theda Skocpol is the Victor S. Thomas Professor of Government and Sociology in the department of sociology at Harvard University. 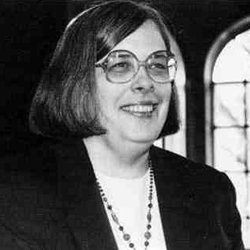 From 2005-2007, she served as dean of the Graduate School of Arts and Sciences and from 2000-2006 she was director of the Center for American Political Studies. Her research focuses on the politics of U.S. social policies, and on changing patterns of civic engagement in American democracy. Her new book, co-authored with 1993 Awardee Lawrence Jacobs, is titled Health Care Reform and American Politics: What Everyone Needs to Know and was published by Oxford University Press in October 2010. Her other recent books include Boomerang: Health Reform and the Turn Against Politics (W.W. Norton, 1996); The Missing Middle: Working Families and the Future of American Social Policy (W.W. Norton, 2000); and Diminished Democracy: From Membership to Management in American Civic Life (University of Oklahoma Press, 2003). Skocpol, T., Keenan, P.S. Cross Pressures: The Contemporary Politics of Health Reform, In Policy Challenges in Modern Health Care, eds. Mechanic, D., Rogut, L., Colby, D., Knickman, J. Rutgers University Press, 2005. Skocpol, T. The Political Challenges that May Undermine Health Reform. Health Affairs, Jul 2010, 29(7): 1288-92. Hacker, J., Skocpol, T.ÊThe New Politics of U.S. Health Policy.ÊJHPPL, 1997, 22(2): 315-38. Skocpol, T.ÊThe Aftermath of Defeat.ÊJHPPL, 1995, 20(2): 485-9. Skocpol, T.ÊThe Rise and Resounding Demise of the Clinton Plan.ÊHealth Affairs, 1995, 14 (1): 66-85. Skocpol, T. Boomerang: Health Care Reform and the Turn Against Government. W.W. Norton & Company, 1997.